Creating custom lettering or monogramming for all your sewing projects has never been easier! With the BES4 Dream Edition Power Pack, you can unlock new tools, templates and fonts that will take your projects to the next level. 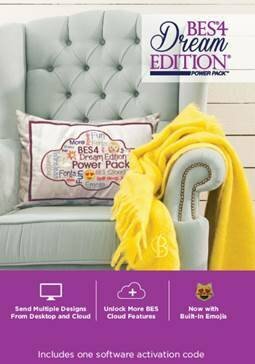 Enhance your projects today with the BES4 Dream Edition Power Pack add-on!